The eucalyptus tree is in a genus of over 700 species, most of which are native to Australia. The eucalyptus produces an oil that has an easily recognizable scent and the trees provide food and shelter to many Australian birds and animals. All parts of the eucalyptus tree are useful, and the plant has become beneficial to humans in many ways. The eucalyptus tree has been referenced since around 1777, when botantist David Nelson collected a sample and returned with it to England. French botanist Charles-Louis L'Héritier labeled the tree eucalyptus from the Greek words "eu" meaning "well" and "kaluptos" meaning "covered," because the tree's flowers were completely contained until the stamens pushed the covering away upon maturity. In the late 19th century, eucalyptus trees were introduced to the United States, and flourished in California. The eucalyptus tree is probably most easily identified by the pungent odor secreted as oil from its leaves. 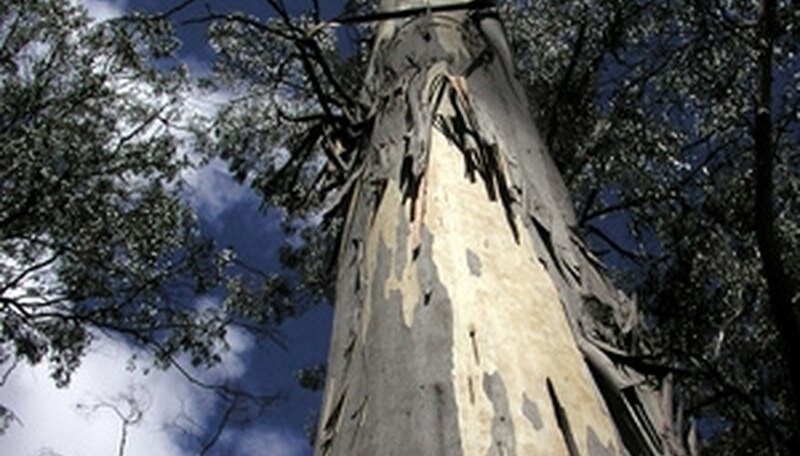 The majority of eucalyptus trees are also referred to as "gum" trees because of the sticky sap emitted from the bark. The green, leathery leaves hang lengthwise from the branches and are accompanied by beautiful, distinct flowers. Some species of eucalyptus trees can grow to be 300 feet tall. Eucalyptus trees are a fast-growing evergreen and can reach almost full height within 10 years. Eucalyptus trees account for the vast majority of trees and shrubs on the continent of Australia, and are the homes for wildlife like the kookaburra (a small Australian bird). 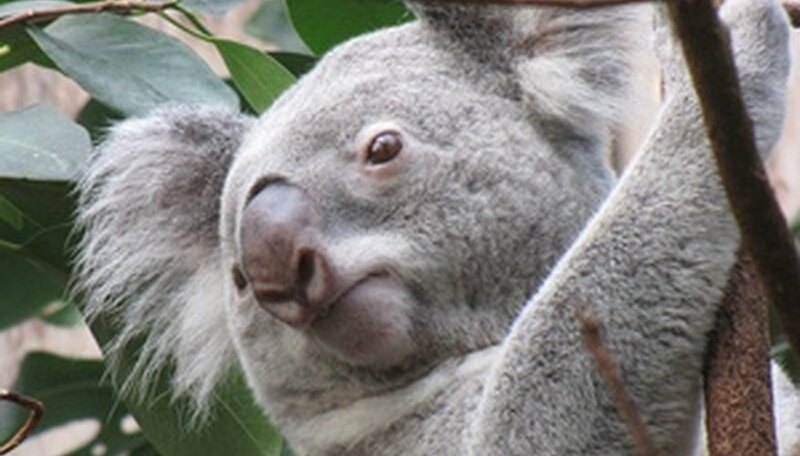 The trees also provide a safe place for koalas to nap, and the marsupial relies solely on the leaves of the eucalyptus for nourishment. Eucalyptus trees also absorb large amounts of water through their roots, and have been planted in some areas to lower the water table and reduce soil salination. The eucalyptus tree has proven beneficial to humans as well. The wood from the tree is used as lumber and pulp, and is the source of material for the Aborigine wind instrument, the digeridoo. 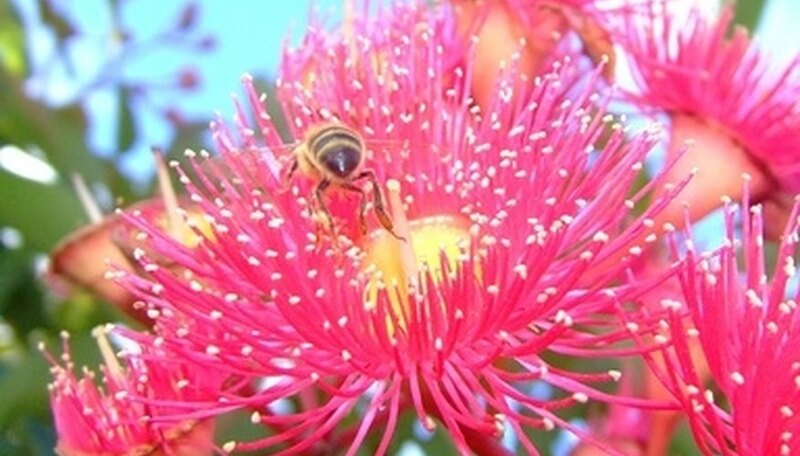 Flowers from certain species produce a nectar used in making types of honey. The oil from the leaves is used in cold medicines, perfumes, and in the mining industry to float detritus away from ore. Hot, dry climates are ideal for eucalyptus trees. On a warm day, a blue haze rises up above the Australian bush from vaporized eucalyptus oils. The oil is highly flammable, and has been known to exacerbate and spread fires when ignited. Strangely, eucalyptus trees seem to flourish after a fire, and chemical changes triggered by the flames' heat cause new buds to shoot out of the trees. In California, however, the fast-growing, resilient trees have been blamed for infringing on and overtaking the native wildlife and threatening some ecosystems.